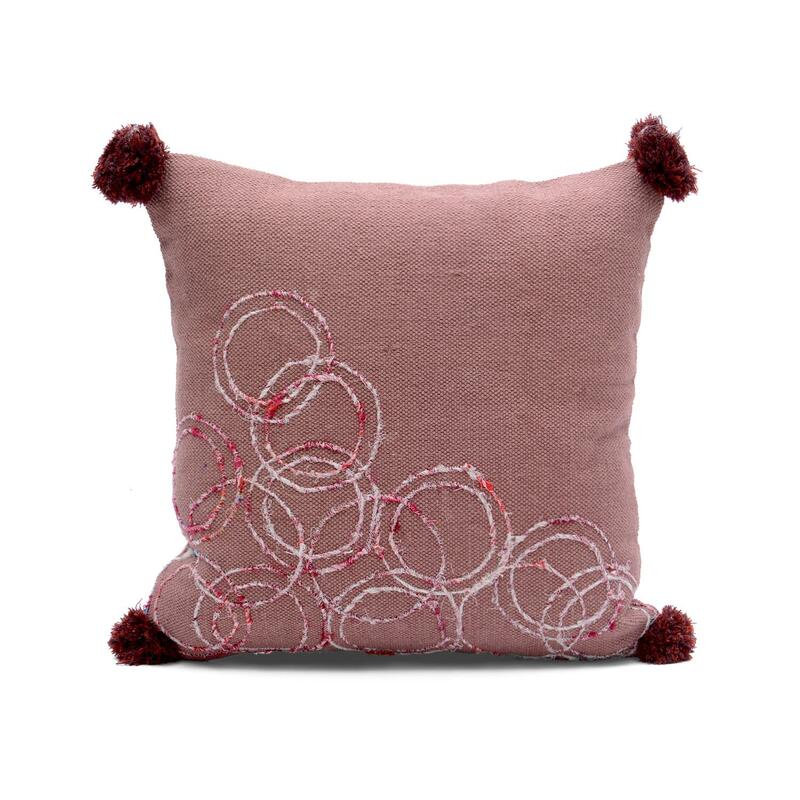 Circle Embroidery Cushion Cover Size: 20" x 20"
This cotton cushion cover features a lovely coloured base with a circle embroidered pattern and contrast color pom pom accent. 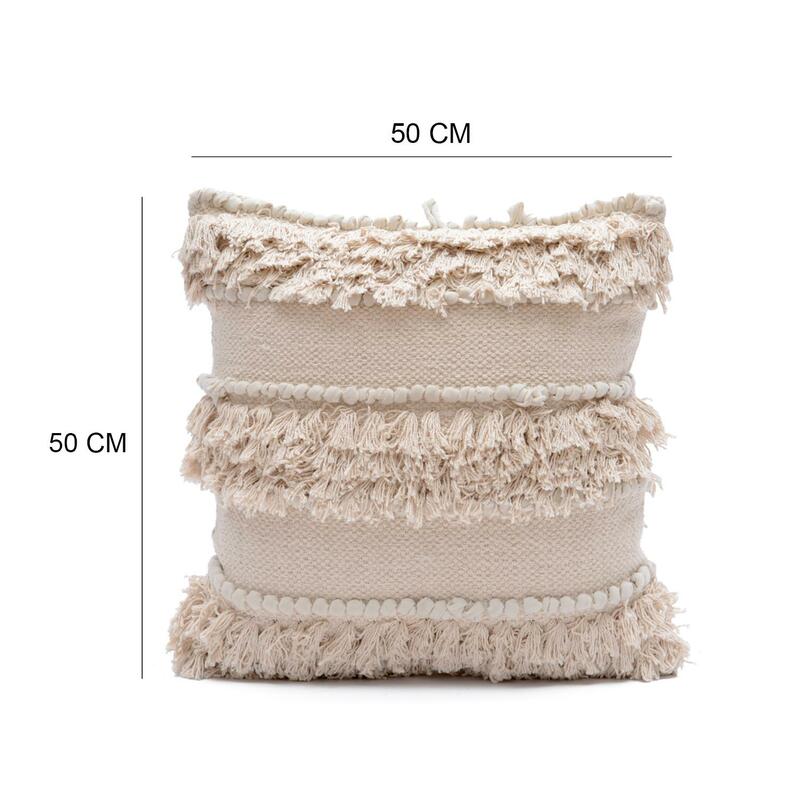 It matches well with all kind of home decoration style, and adds a cosy touch to your sofa or bed. 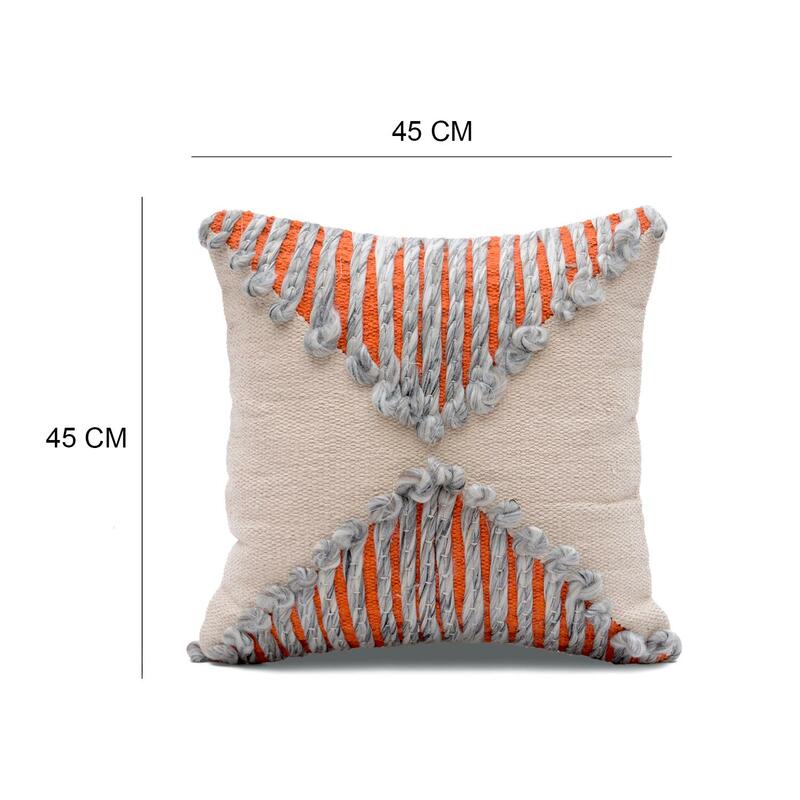 Colorful Decorative Bohemian Cushion Cover Size: 20" x 20"
Add a zing to your living room decor with the bohemian beauty of this cushion cover featuring zigzag printed base decorated with multicolored trim and pink colored tassels. 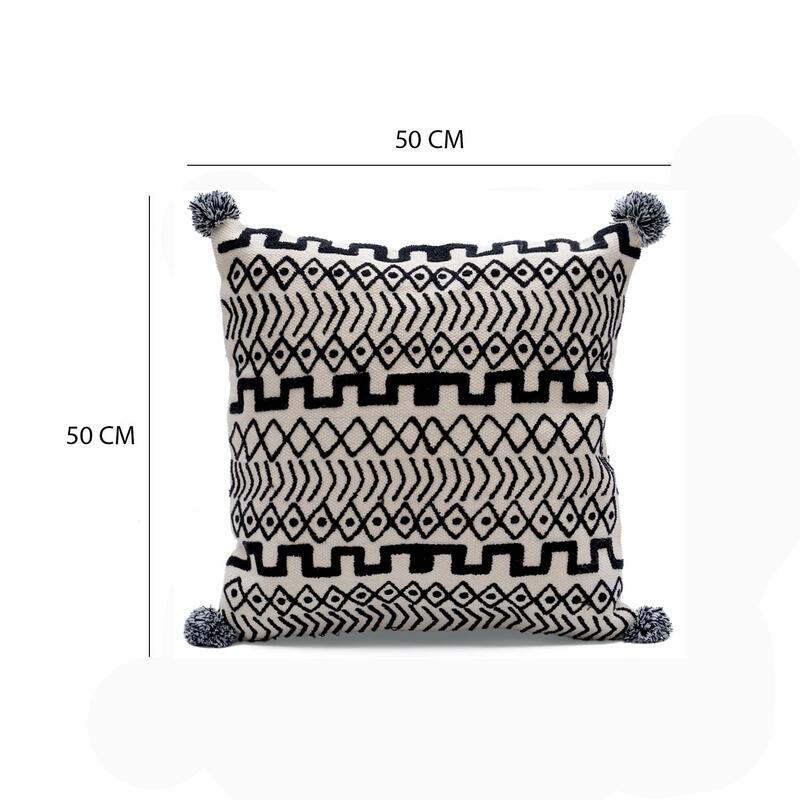 This design will instantly add visual interest and depth to your living room. 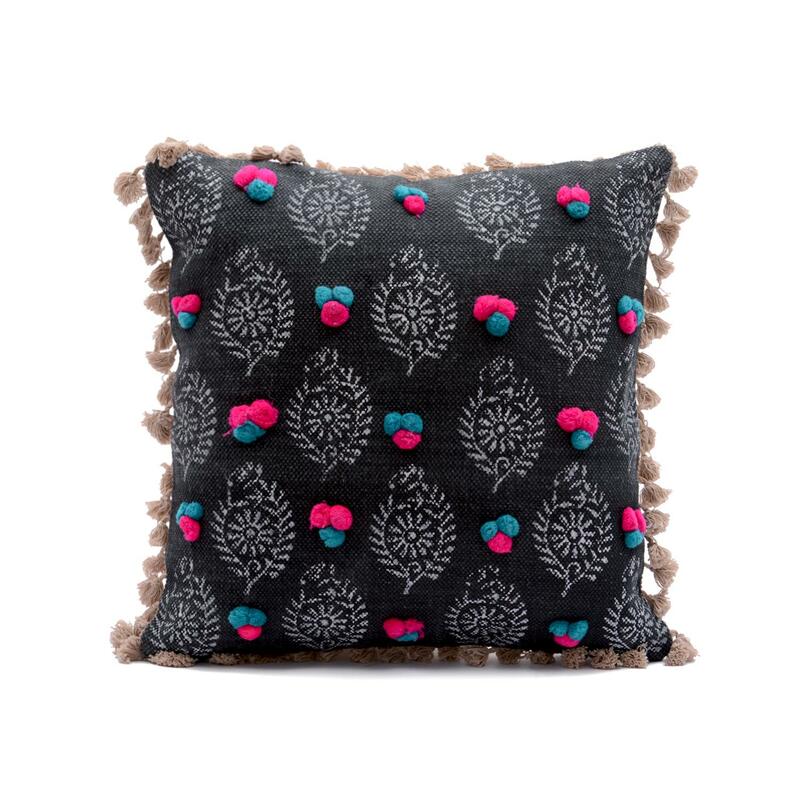 Cotton Beautifully Embroidered Cushion Cover Size: 18" x 18"
Give your space the fresh and textural take with this embroidered cushion cover. 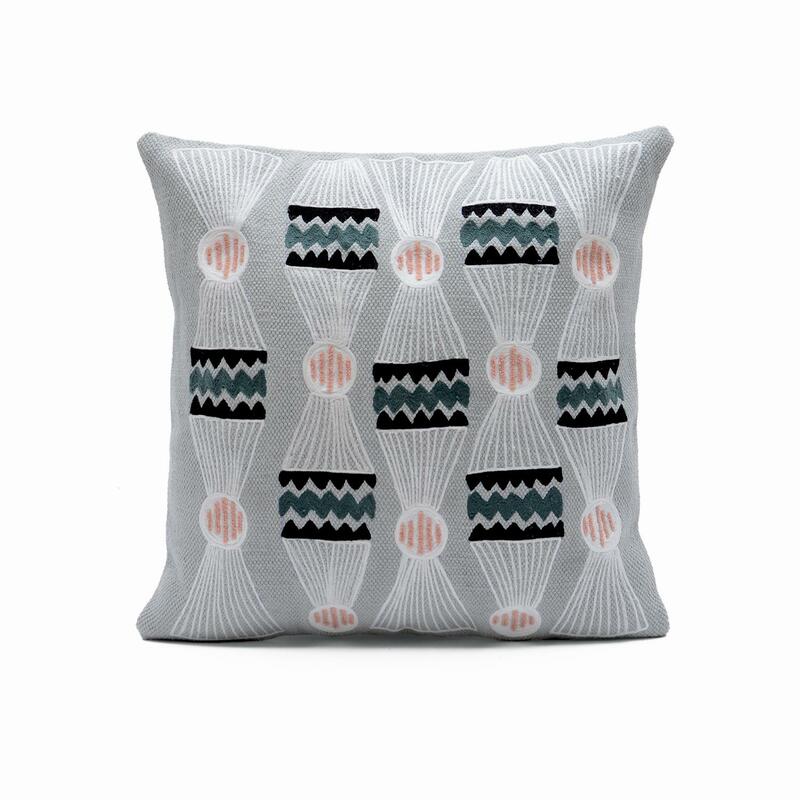 As decorative as it is functional, this cushion cover can be easily integrated into any décor. 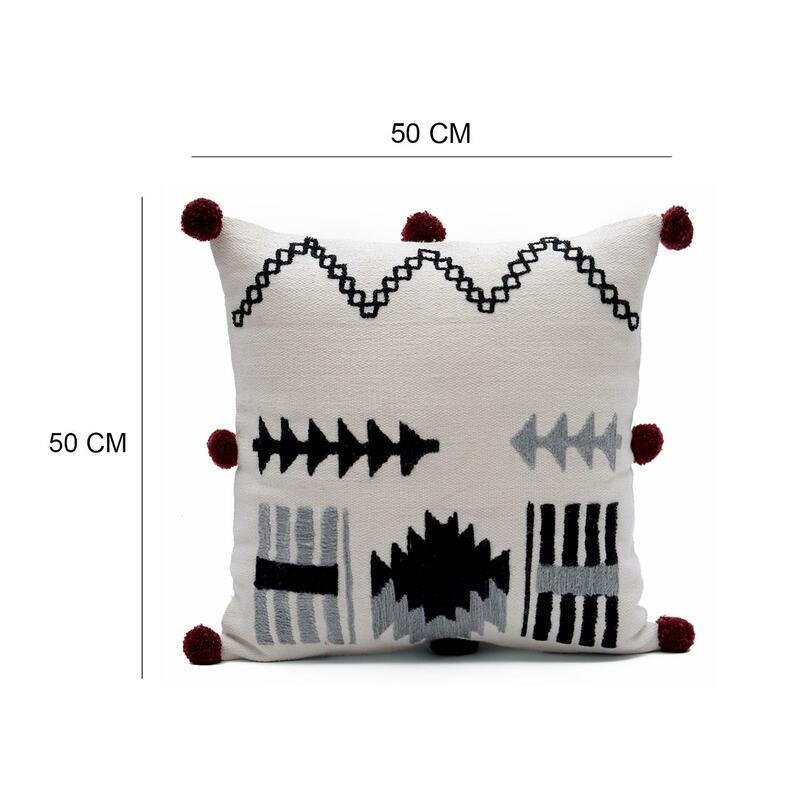 You can use this cushion cover to enliven any space. 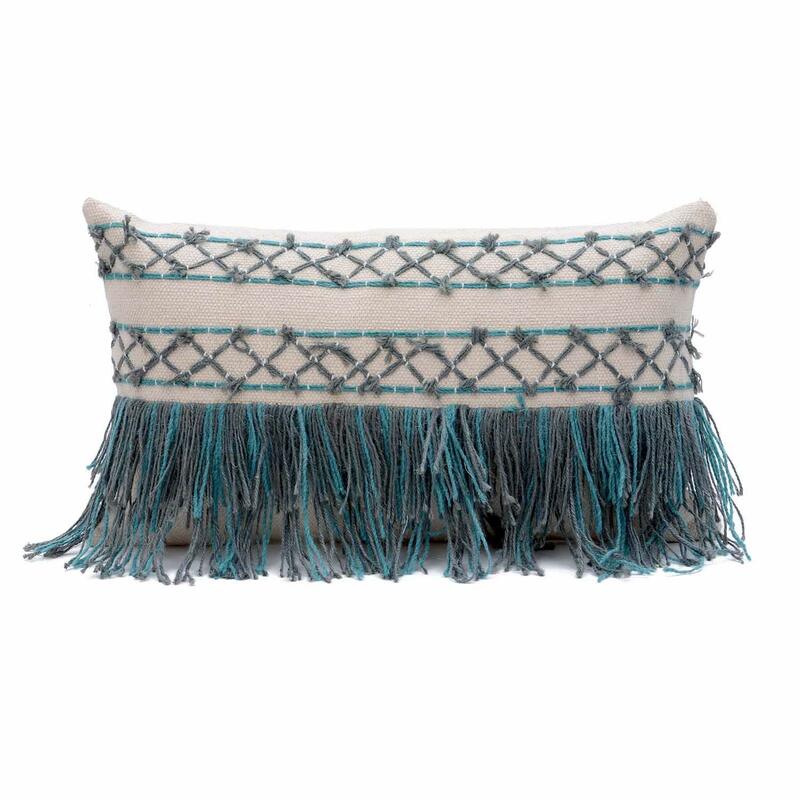 Cream Hand Woven Fringe Cushion Cover Size: 20" x 20"
A perfect textural cushion cover that would add a hint of exotic charm to your decor. 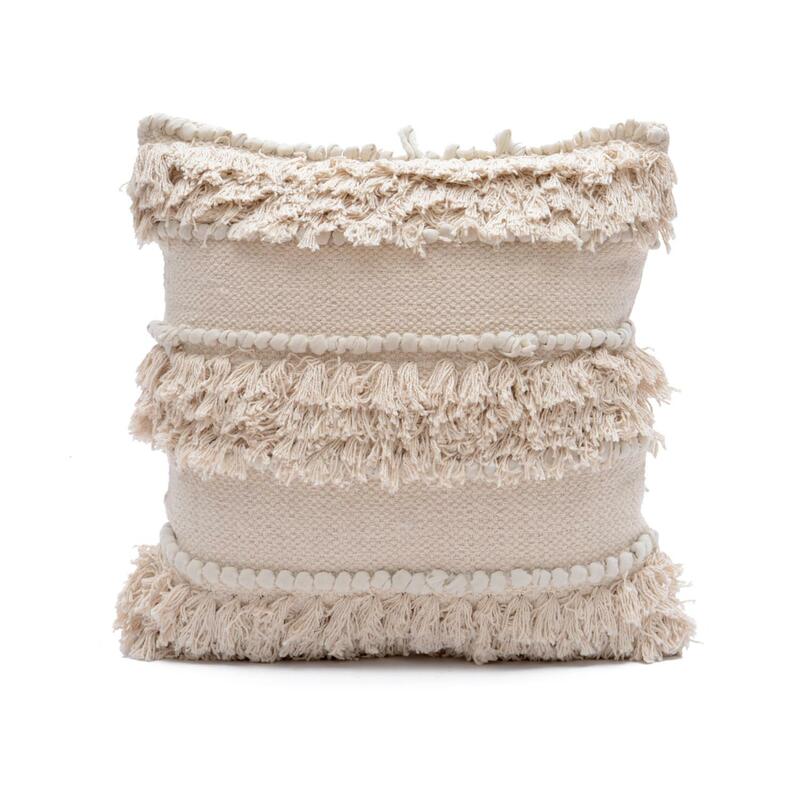 The woven and shaggy texture with subtle cream color of this cushion cover creates a touch of class and uniqueness that gives it a one of a kind look for any room. 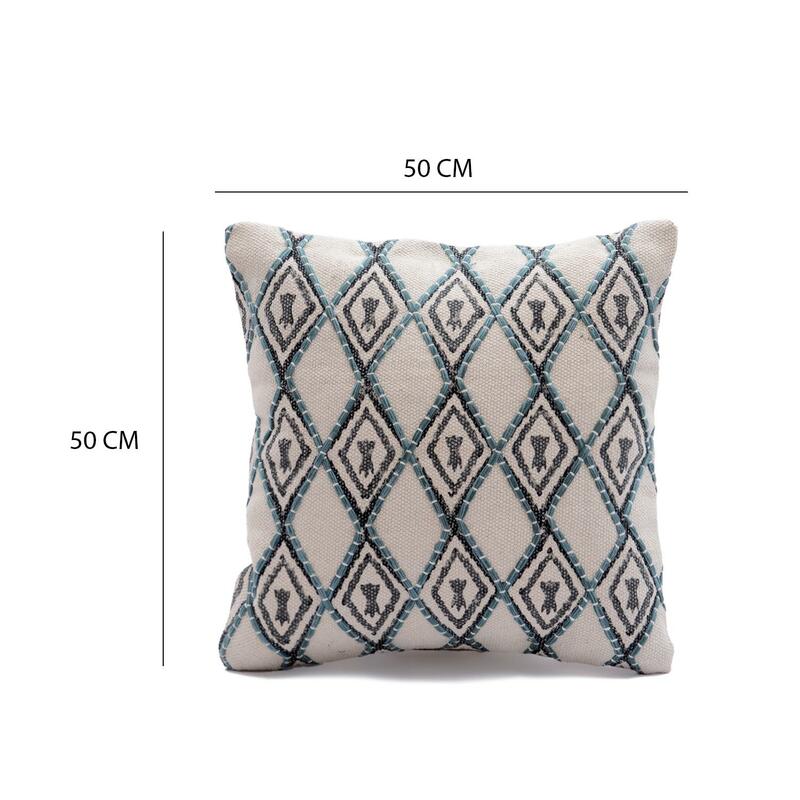 Decorative Bohemian Cushion Cover Size: 20" x 20"
Lend a welcome touch of bohemian charm to any bedscape or seating ensemble with this decorative cushion cover. 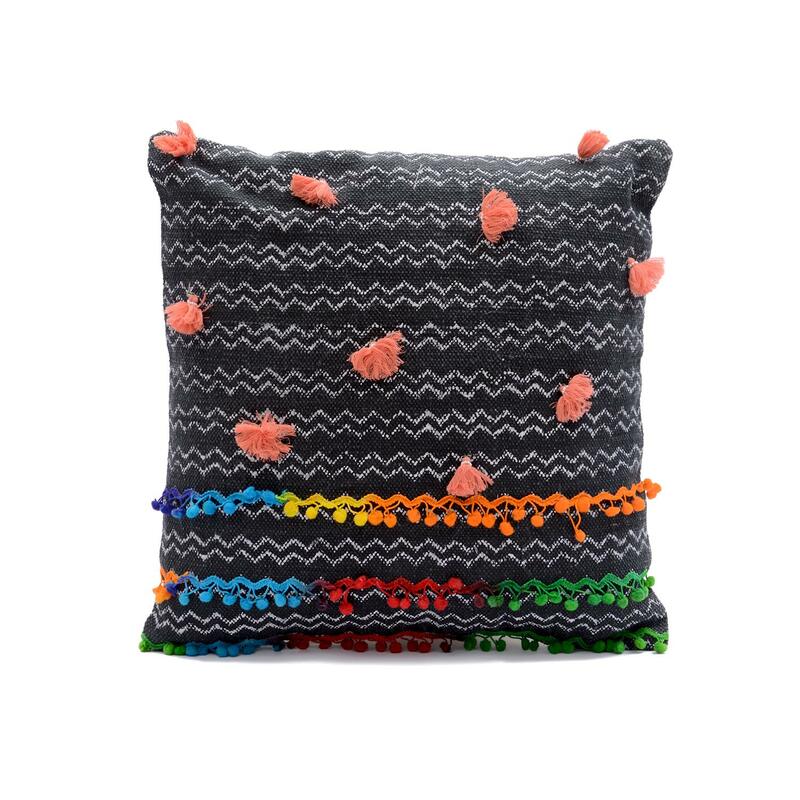 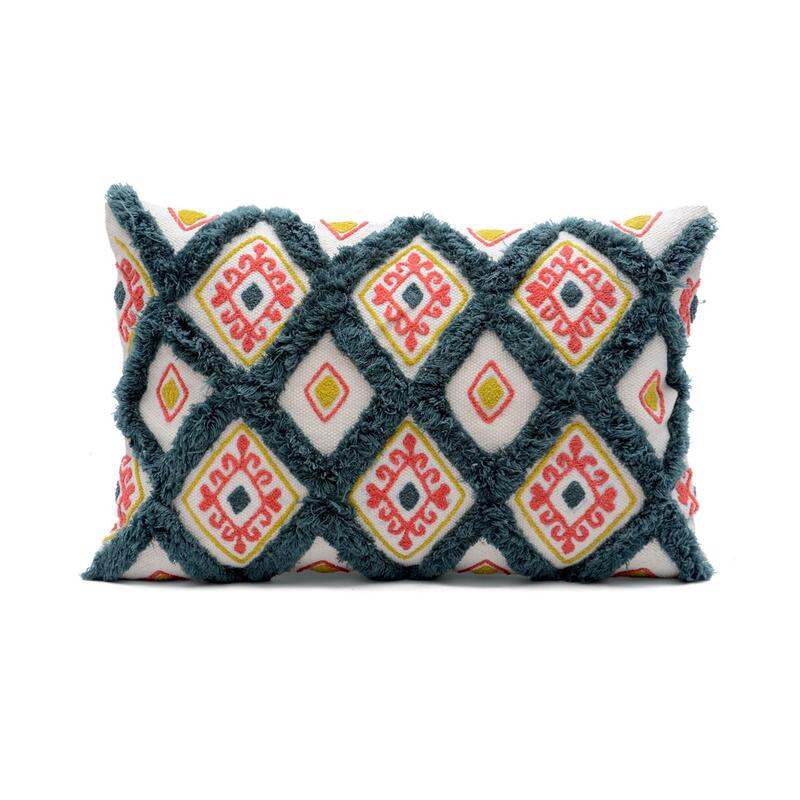 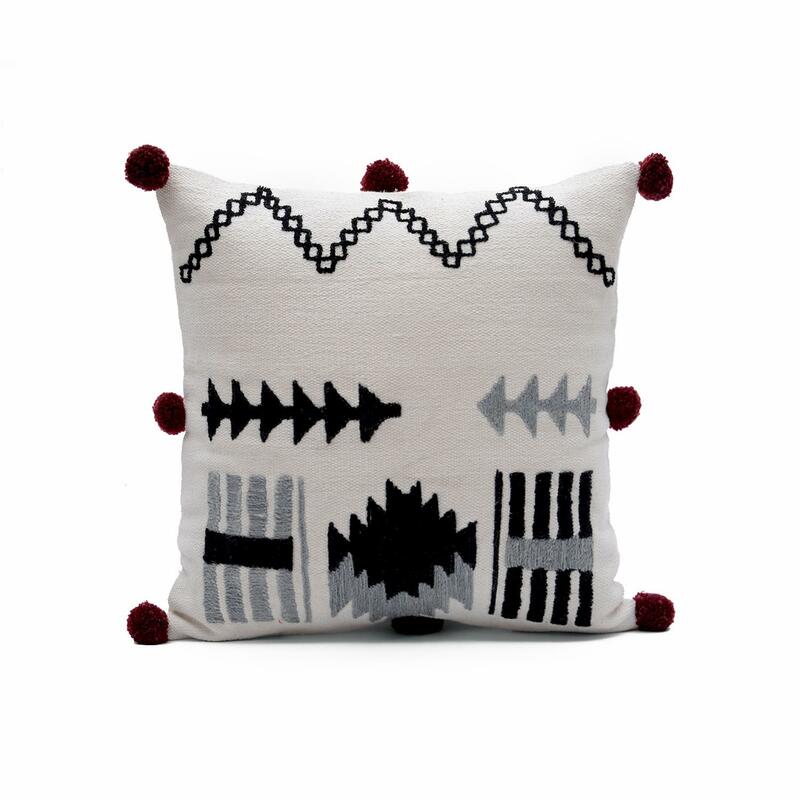 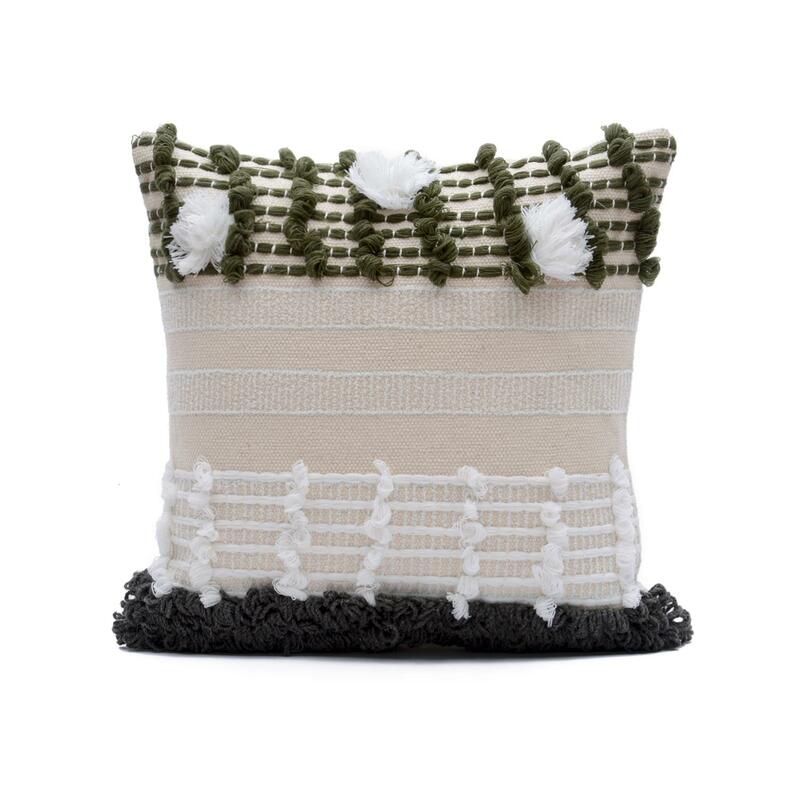 Handmade from 100% cotton, this cushion cover showcases a printed base, trim decorative edges and small pom pom accent. 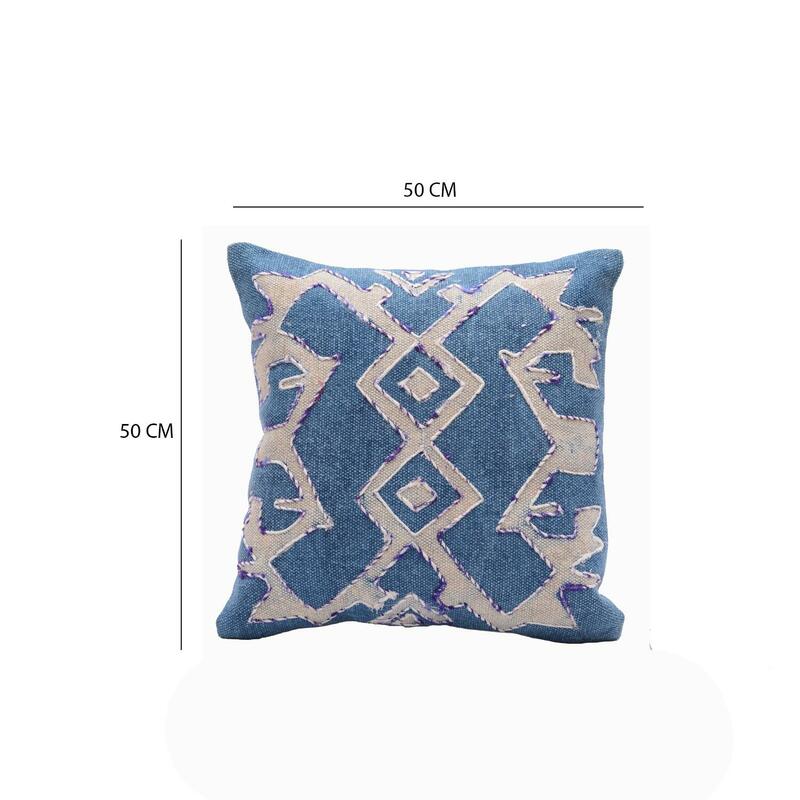 Designer Embroidered Shaggy Textured Cushion Cover Size: 16" x 24"
Add a touch of boho elegance to your home with this lovely pillow cover with shaggy accent diamond pattern and ethnic design embroidery detailing. 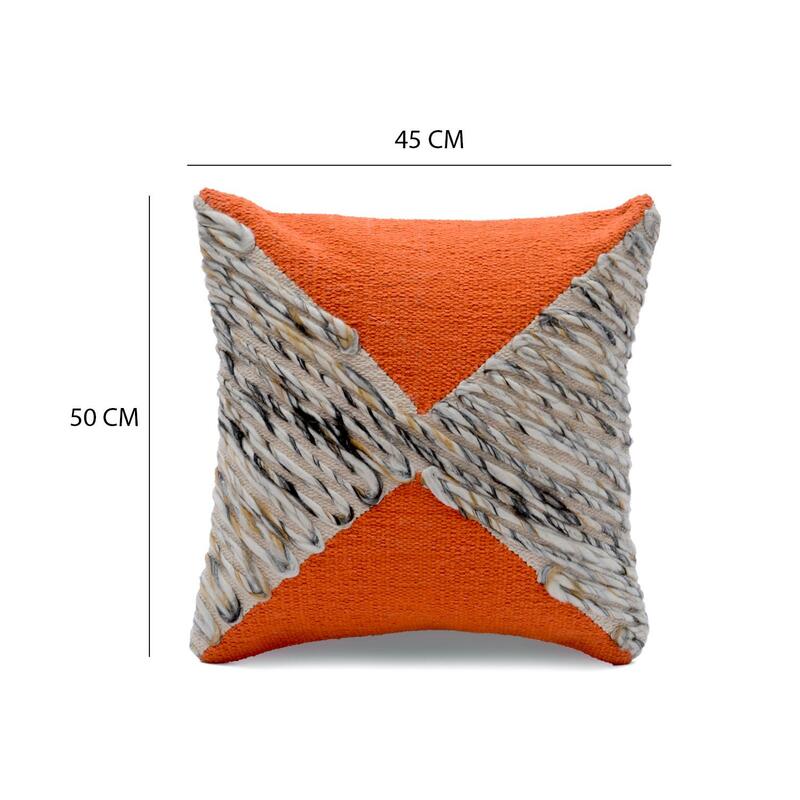 This decorative pillow cover features a 100% cotton construction, making it a quality addition to your decor. 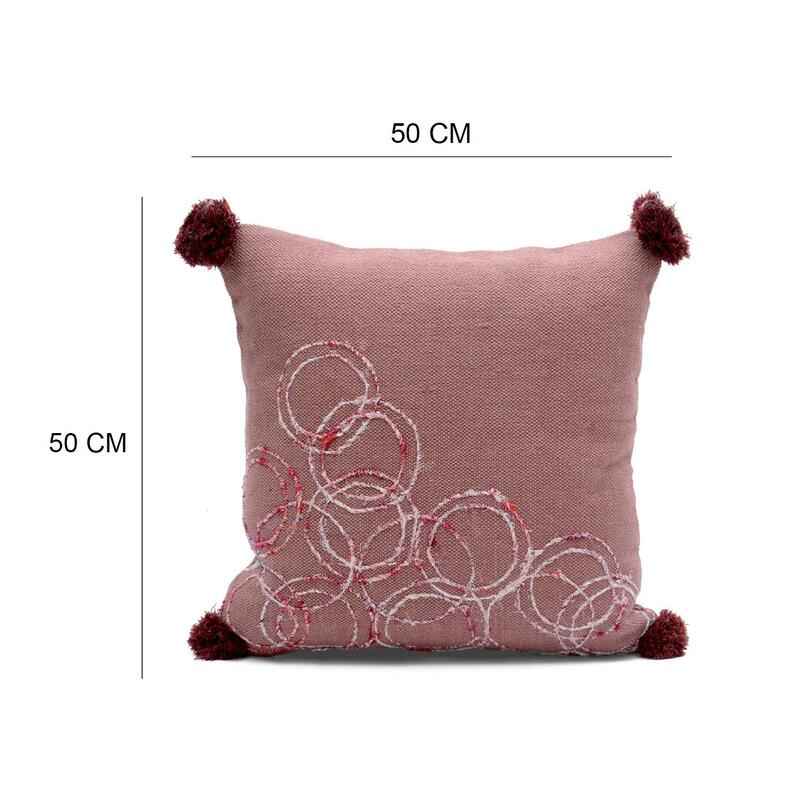 Designer Embroidery Cushion Cover Size: 20" x 20"
Showcasing beautiful embroidered design that adds a sophisticated charm, this cushion cover designed to bring a hint of elegance to your living space décor. 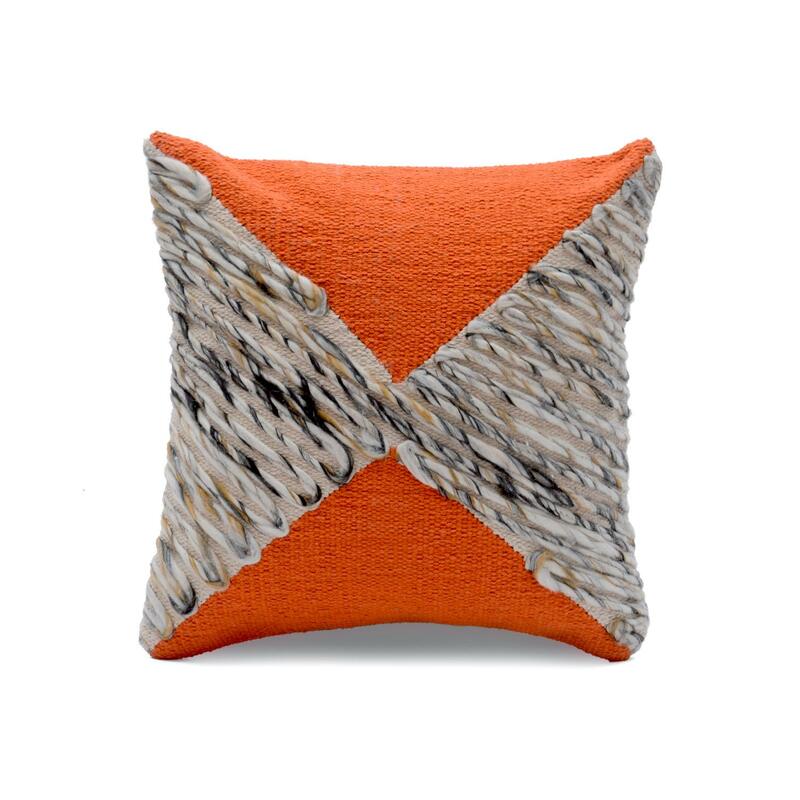 This cushion cover brings rich texture and dimension to the sofa, bed, or your favorite armchair. 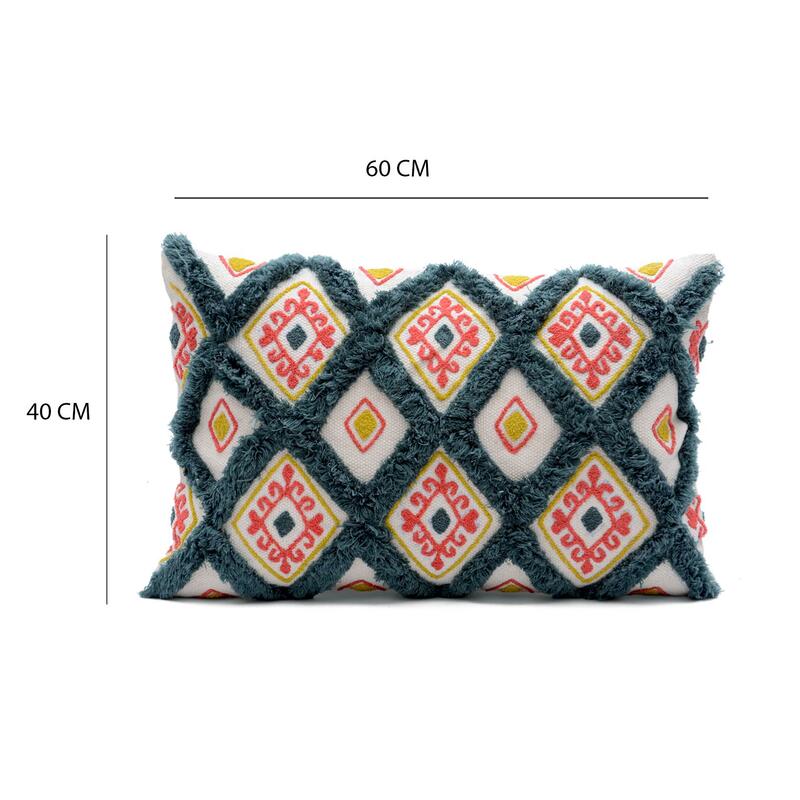 Designer Embroidery Cushion CoverSize: 18" x 18"
Add a touch of hand-crafted beauty to your home decor with this designer cushion cover. 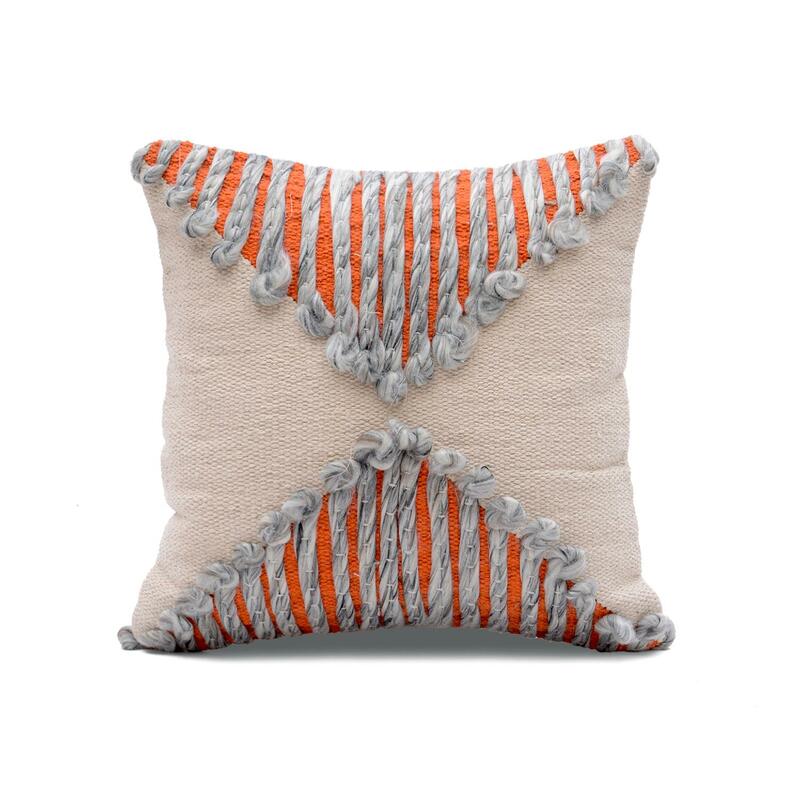 The touches of color add a bit of flair that enhances your décor. 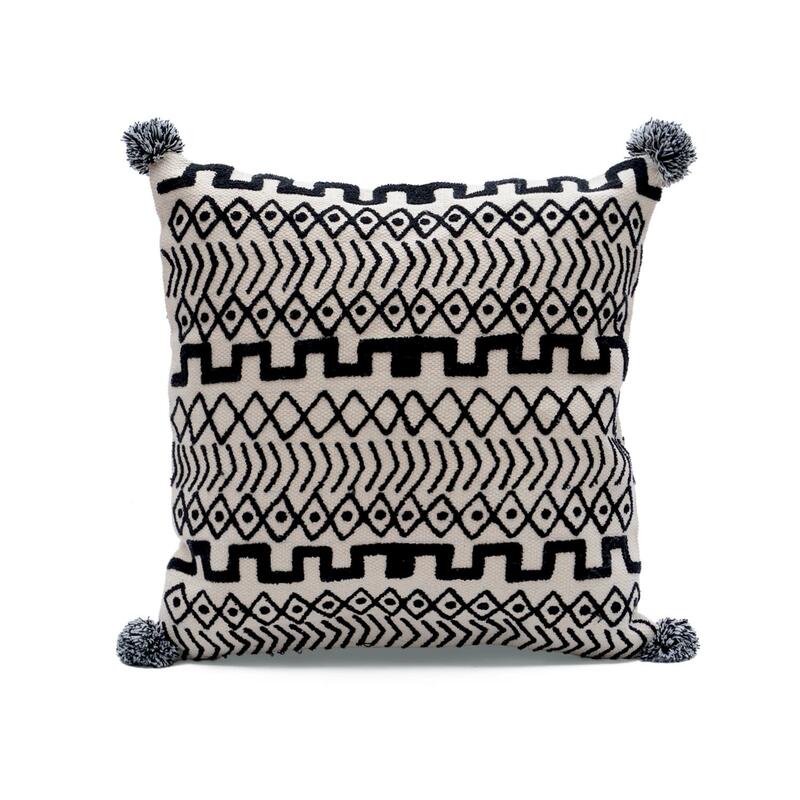 This embroidered cushion cover complements a range of interior styles, making an eye catching addition to any living space. 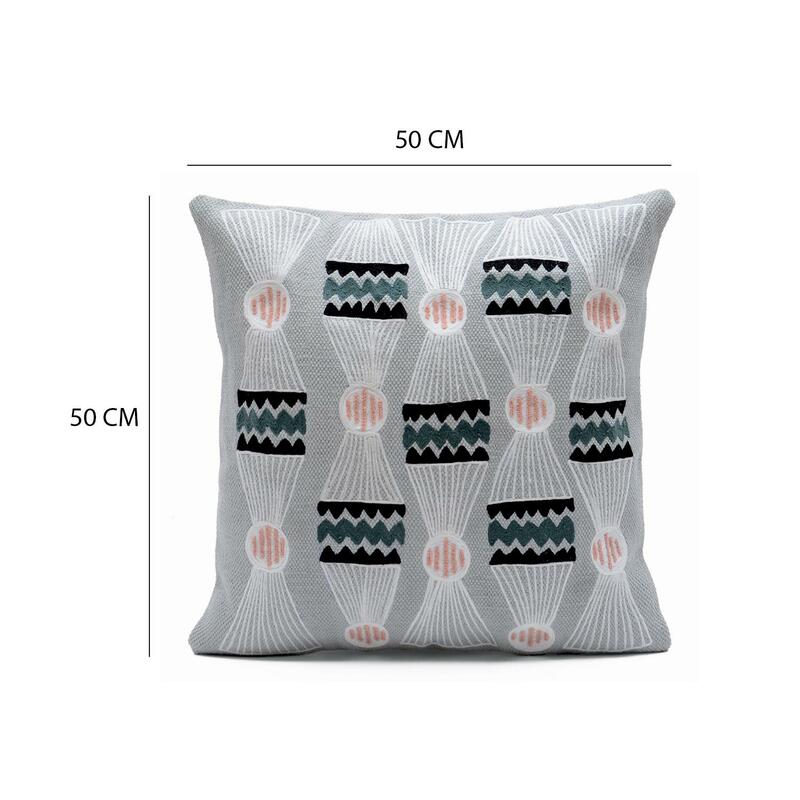 Diamond Pattern Printed Embroidered White Cushion Cover Size: 20" x 20"
Add a pop of playful pattern to your sitting area or master bedroom with this cushion cover. 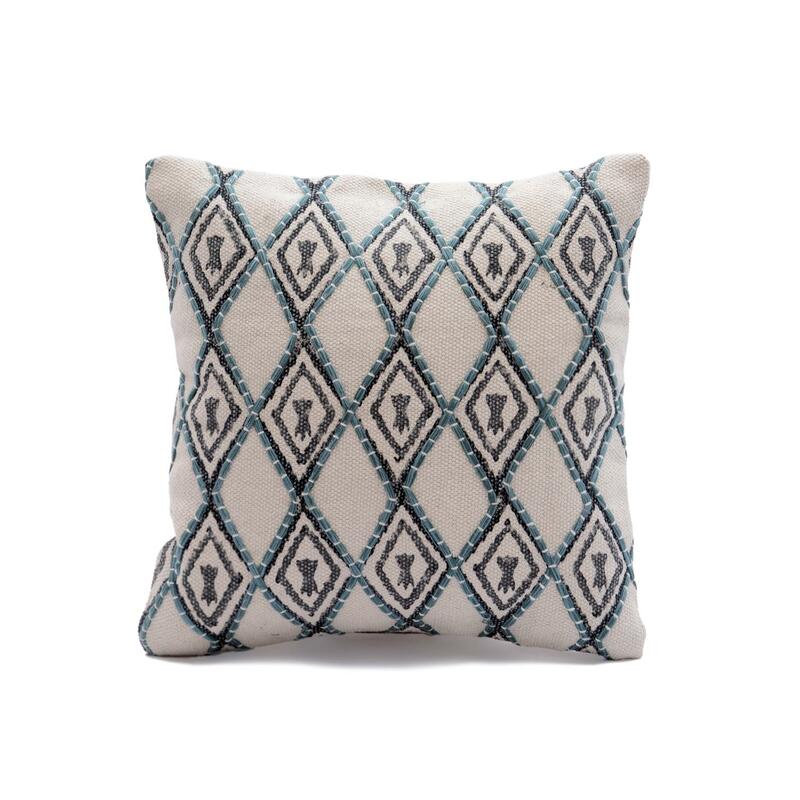 Made from 100% cotton, this diamond pattern printed and embroidered cushion cover equally ideal for classic and contemporary areas of your abode. 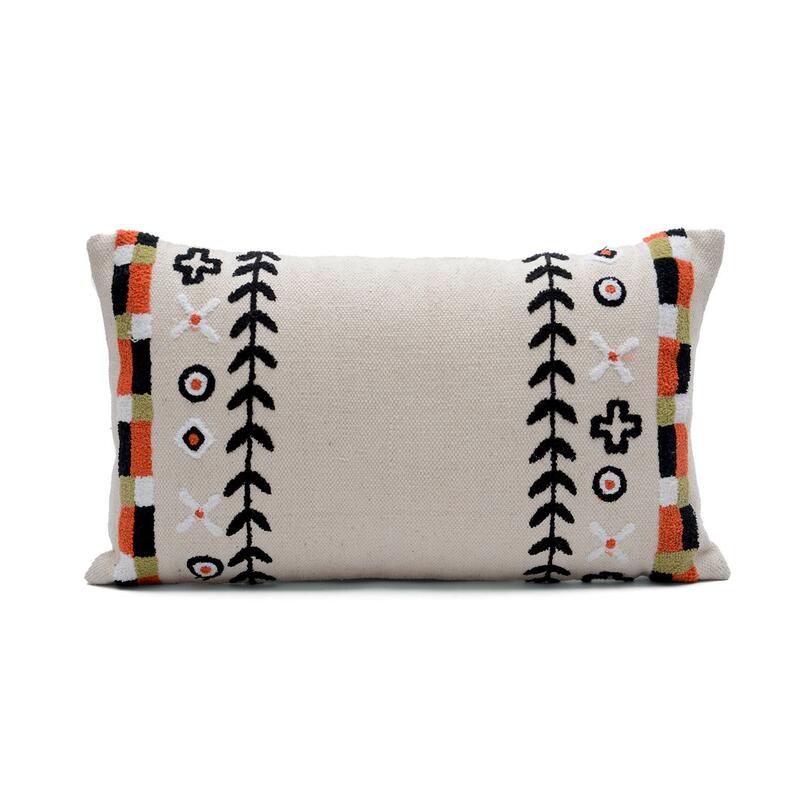 Embroidered Ethic Pillow Cover Size: 14" x 24"
This embroidered pillow cover elevates and adds comfort to your seating or bedding ensemble. 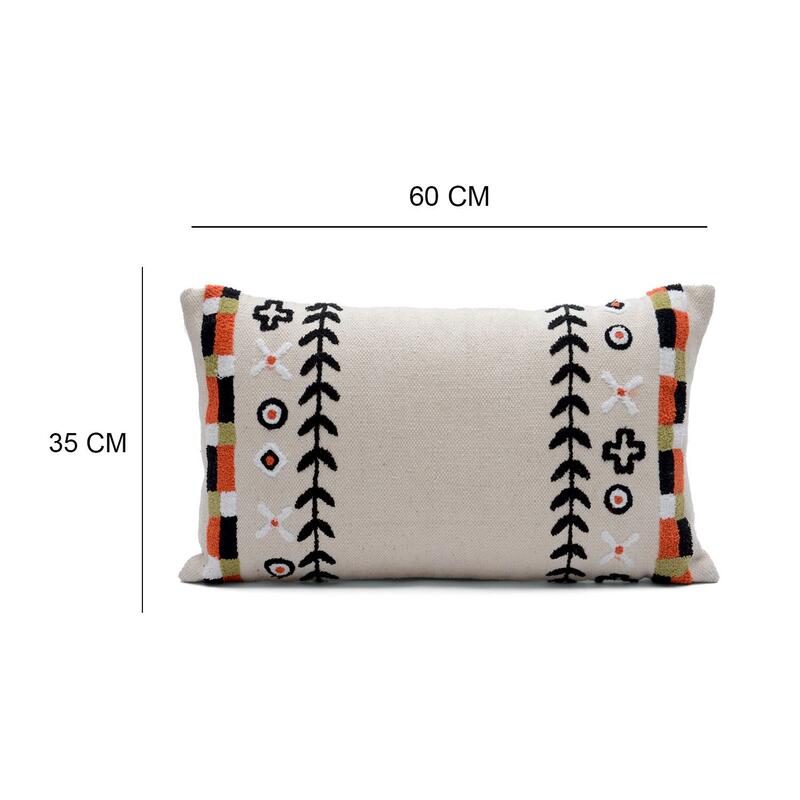 This pillow cover crafted from 100% cotton, showcases beautiful hand embroidered design on cream colored background for a global and eclectic look. 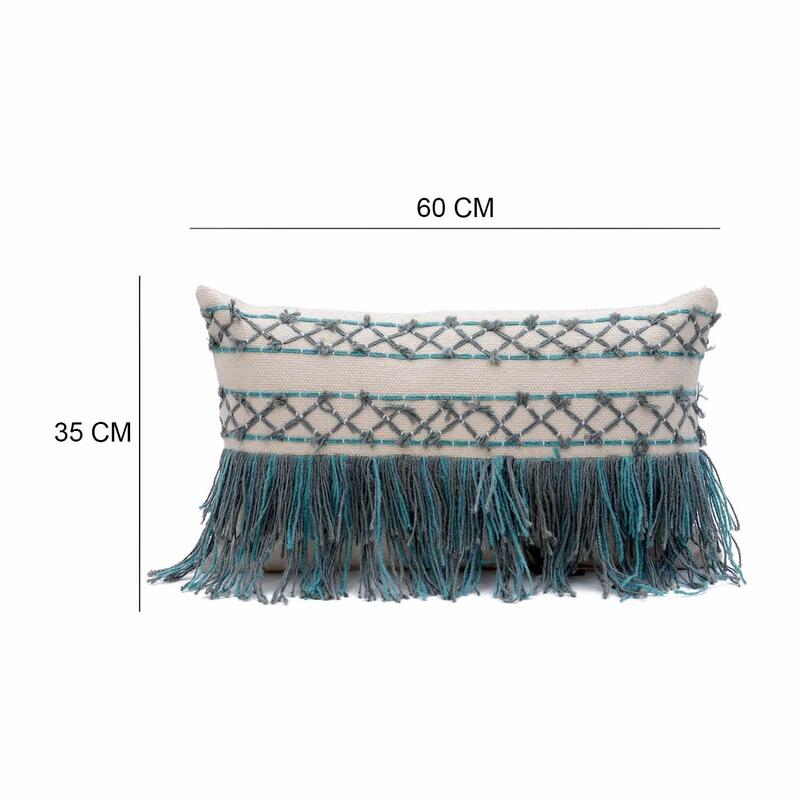 Embroidered fringe decorative pillow coverSize: 14" x 24"
Add a rich and elegant touch to your living space with this beautifully designed pillow cover. 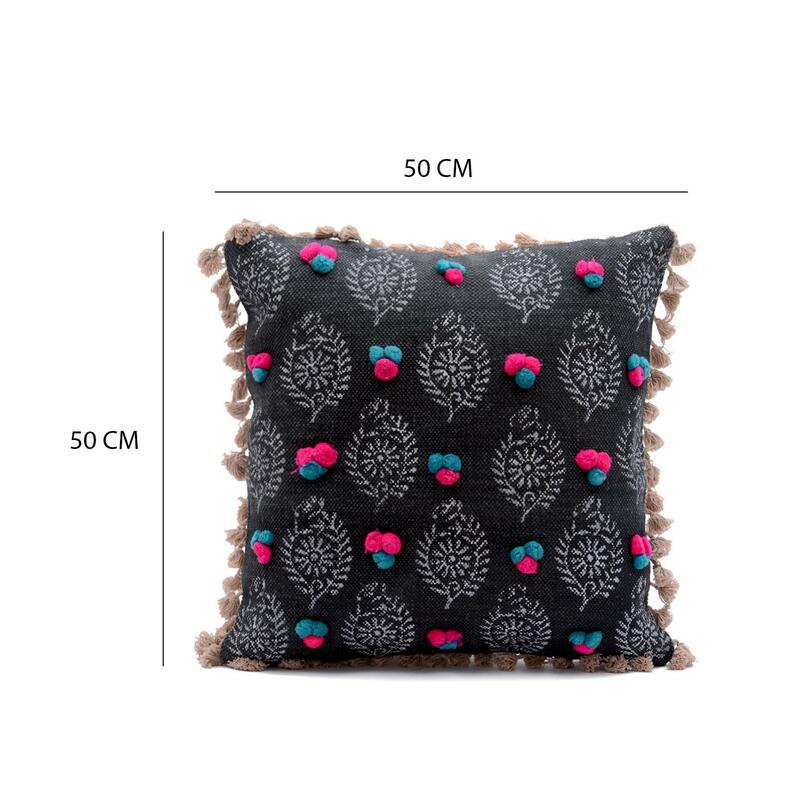 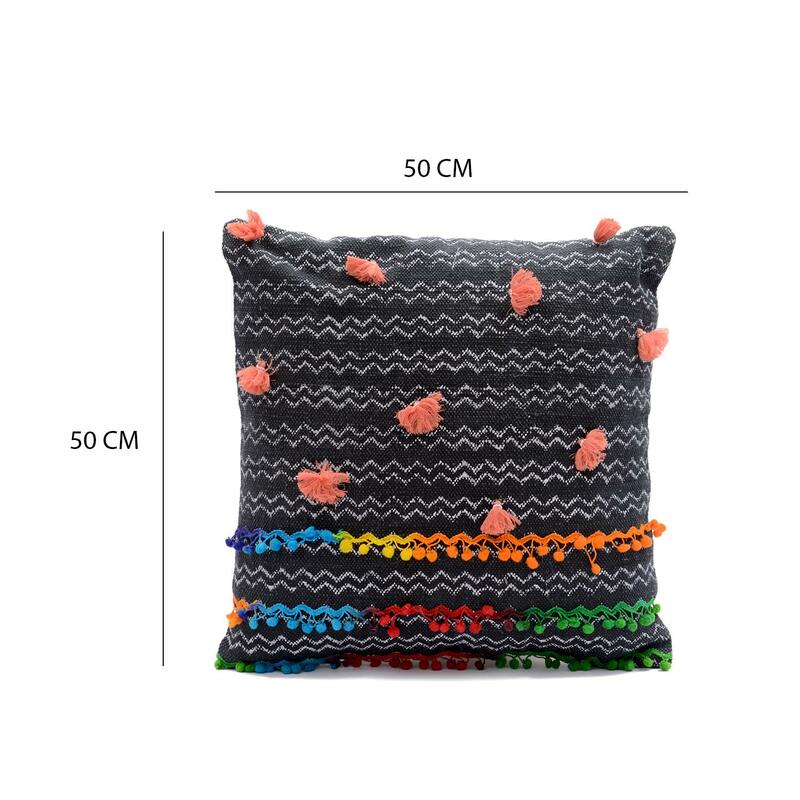 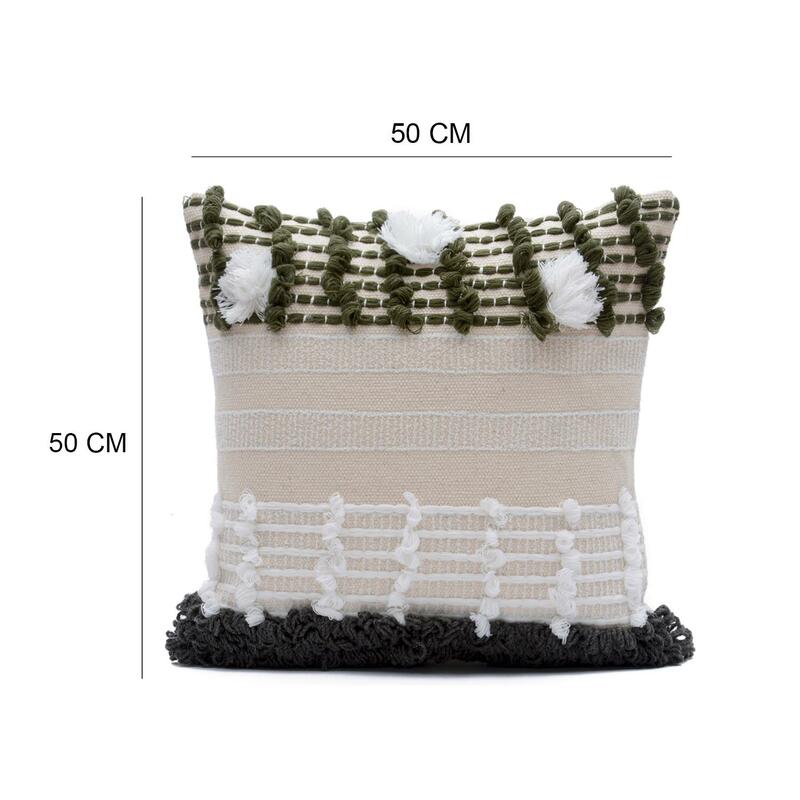 This stylish and highly comfortable pillow cover cover features embroidery design and fringe decoration that will update your living space in stylish way.